This effort — the 31st such vote by the Republican-controlled House of Representatives — proves once again that Republicans like House Speaker John Boehner (R-OH) and House Majority Leader Eric Cantor (R-VA) care significantly more about politics than policy, as this effort will simply not succeed. The Affordable Care Act, or Obamacare, has been found constitutional by the Supreme Court and will provide life-saving health insurance to millions of Americans. Sadly, House Republicans would rather waste time with one more unnecessary vote than focus on working to further improve on health care reform or focusing on job creation. Most Jewish Americans — along with countless others — supported Obamacare and millions of Americans will benefit from the legislation as it is implemented. It is way past time for Republicans to cease tilting at windmills and quit playing politics with Americans’ health insurance. Bend the Arc’s Alan van Capelle explained in JTA that the Supreme Court’s ruling on the Affordable Care Act reflects the Jewish values that inspired so many people in our community to support the bill. Jewish law and tradition have much to say about taking an active role in guarding one’s health-and the health of our fellow man. 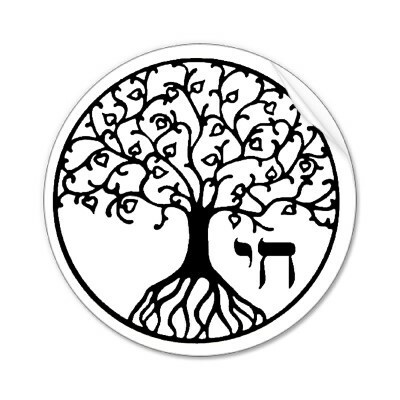 Health and life are bedrock Jewish values, to the extent that saving someone (pikuach nefesh) supersedes even the sanctity of the Sabbath. 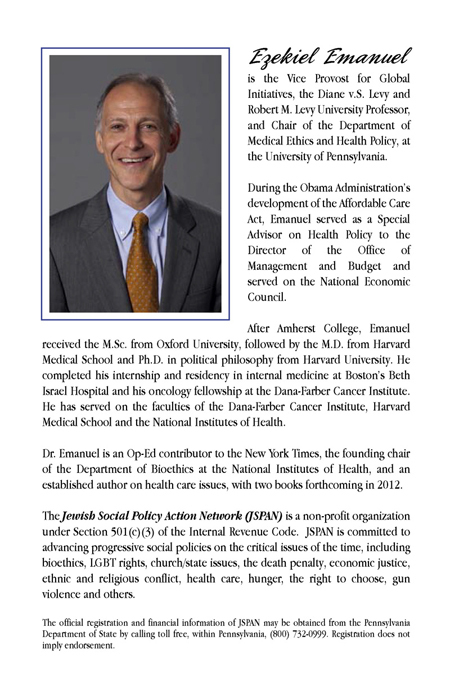 The Shulchan Aruch (Code of Jewish Law) notes, ‘If one has medicine that a sick person needs, it is forbidden to charge more than the appropriate price.’ This statement of Jewish law now becomes the spirit of America’s national health policy, and I could not be more proud. The historic ruling on the Patient Protection and Affordable Care Act(ACA) is a victory for those who believe, as we do, that health care is a fundamental human right. The ACA has the chance to help the nearly forty million currently uninsured Americans receive coverage and the millions of underinsured who will see their situation improved. It is our hope that this decision will help remedy and heal the injustices and inefficiencies in the United States health care system, by guaranteeing preventative and emergency care, affordable prescription drugs, and insurance despite pre-existing conditions, among other benefits. We are also pleased that the Medicaid expansion stands, helping lower-income individuals get the health care they deserve. The ACA can now bring the health insurance system closer to reflecting our highest spiritual aspirations. It is also our hope and prayer that this decision, although decided by a divided court, will begin to allow for healing of the deep divisions in the United States that this issue has caused, and allow us as a nation to work together towards our common goals and solving our common challenges. The entertainer Andy Griffith died today at the age of 86. His career included many roles in television, cinema and theater. He was an accomplished actor, director, producer, singer and writer, but he is perhaps best known for his role in The Andy Griffith Show (1960-1968) where he played the Sheriff Andy Taylor in the fictional town of Mayberry, North Carolina. In the clip shown to the right, we see how standards have changed over the years. Surely, Sheriff Andy Taylor would not have approved of the Patriot Act. Andy Griffith on Obamacare after the jump. Several organizations issued statements following today’s Supreme Court decision on the Affordable Care Act. As we study today’s decision to uphold the Affordable Care Act, we are struck by the seriousness and thoughtfulness of the Court’s process and deliberations. The rule of law is central to the American legal system, the protection of civil and human rights, and the viability of democracy. The ACA is the law of the land and universal, affordable, and accessible healthcare coverage for all Americans remains a compelling policy goal and moral imperative. Over the next few months, as the Court’s decision is parsed and the ACA is implemented, we will work with Congress and the Administration continually to improve our healthcare system and governance. We are particularly focused on the implications for Medicaid, a vital program that ensures healthcare for the most vulnerable among us. Today, we are reminded of the genius of American system of laws and government. The Supreme Court has rendered judgement on the constitutionality of Obamacare. It remains up to Congress and the American people to judge whether it is good policy. The serious negative effects this law will have on the economy, on jobs, on medical research and development, and on the quality of health care in America, are very troubling. The American people will have the opportunity to express their opinion on the wisdom of Obamacare in this election year. The National Jewish Democratic Council — indeed so much of the American Jewish community — is deeply gratified by today’s ruling. We are thankful that the Court affirmed the core constitutionality of this landmark legislation that will bring health care to tens of millions more Americans. The Court confirmed today what liberal and conservative legal scholars have said all along — that the individual mandate to purchase health insurance is constitutional and well within Congress’ jurisdiction to regulate. Now is the time for conservative critics of the President — especially the godfather of core components of the bill, Mitt Romney — to accept Obamacare and its provisions as the constitutional law of the land. We look forward to the continuing implementation of Obamacare in the months and years to come. President’s remarks follow the jump. Good afternoon. Earlier today, the Supreme Court upheld the constitutionality of the Affordable Care Act — the name of the health care reform we passed two years ago. In doing so, they’ve reaffirmed a fundamental principle that here in America — in the wealthiest nation on Earth – no illness or accident should lead to any family’s financial ruin. I know there will be a lot of discussion today about the politics of all this, about who won and who lost. That’s how these things tend to be viewed here in Washington. But that discussion completely misses the point. Whatever the politics, today’s decision was a victory for people all over this country whose lives will be more secure because of this law and the Supreme Court’s decision to uphold it. And because this law has a direct impact on so many Americans, I want to take this opportunity to talk about exactly what it means for you. First, if you’re one of the more than 250 million Americans who already have health insurance, you will keep your health insurance — this law will only make it more secure and more affordable. Insurance companies can no longer impose lifetime limits on the amount of care you receive. They can no longer discriminate against children with preexisting conditions. They can no longer drop your coverage if you get sick. They can no longer jack up your premiums without reason. They are required to provide free preventive care like check-ups and mammograms — a provision that’s already helped 54 million Americans with private insurance. And by this August, nearly 13 million of you will receive a rebate from your insurance company because it spent too much on things like administrative costs and CEO bonuses, and not enough on your health care. There’s more. Because of the Affordable Care Act, young adults under the age of 26 are able to stay on their parent’s health care plans — a provision that’s already helped 6 million young Americans. And because of the Affordable Care Act, seniors receive a discount on their prescription drugs — a discount that’s already saved more than 5 million seniors on Medicare about $600 each. All of this is happening because of the Affordable Care Act. These provisions provide common-sense protections for middle class families, and they enjoy broad popular support. And thanks to today’s decision, all of these benefits and protections will continue for Americans who already have health insurance. Now, if you’re one of the 30 million Americans who don’t yet have health insurance, starting in 2014 this law will offer you an array of quality, affordable, private health insurance plans to choose from. Each state will take the lead in designing their own menu of options, and if states can come up with even better ways of covering more people at the same quality and cost, this law allows them to do that, too. And I’ve asked Congress to help speed up that process, and give states this flexibility in year one. Once states set up these health insurance marketplaces, known as exchanges, insurance companies will no longer be able to discriminate against any American with a preexisting health condition. They won’t be able to charge you more just because you’re a woman. They won’t be able to bill you into bankruptcy. If you’re sick, you’ll finally have the same chance to get quality, affordable health care as everyone else. And if you can’t afford the premiums, you’ll receive a credit that helps pay for it. Today, the Supreme Court also upheld the principle that people who can afford health insurance should take the responsibility to buy health insurance. This is important for two reasons. And second, if you ask insurance companies to cover people with preexisting conditions, but don’t require people who can afford it to buy their own insurance, some folks might wait until they’re sick to buy the care they need — which would also drive up everybody else’s premiums. That’s why, even though I knew it wouldn’t be politically popular, and resisted the idea when I ran for this office, we ultimately included a provision in the Affordable Care Act that people who can afford to buy health insurance should take the responsibility to do so. In fact, this idea has enjoyed support from members of both parties, including the current Republican nominee for President. Still, I know the debate over this law has been divisive. I respect the very real concerns that millions of Americans have shared. And I know a lot of coverage through this health care debate has focused on what it means politically. Well, it should be pretty clear by now that I didn’t do this because it was good politics. I did it because I believed it was good for the country. I did it because I believed it was good for the American people. There’s a framed letter that hangs in my office right now. It was sent to me during the health care debate by a woman named Natoma Canfield. For years and years, Natoma did everything right. She bought health insurance. She paid her premiums on time. But 18 years ago, Natoma was diagnosed with cancer. And even though she’d been cancer-free for more than a decade, her insurance company kept jacking up her rates, year after year. And despite her desire to keep her coverage — despite her fears that she would get sick again — she had to surrender her health insurance, and was forced to hang her fortunes on chance. I carried Natoma’s story with me every day of the fight to pass this law. It reminded me of all the Americans, all across the country, who have had to worry not only about getting sick, but about the cost of getting well. Natoma is well today. And because of this law, there are other Americans — other sons and daughters, brothers and sisters, fathers and mothers — who will not have to hang their fortunes on chance. These are the Americans for whom we passed this law. The highest Court in the land has now spoken. We will continue to implement this law. And we’ll work together to improve on it where we can. But what we won’t do — what the country can’t afford to do — is refight the political battles of two years ago, or go back to the way things were. With today’s announcement, it’s time for us to move forward — to implement and, where necessary, improve on this law. And now is the time to keep our focus on the most urgent challenge of our time: putting people back to work, paying down our debt, and building an economy where people can have confidence that if they work hard, they can get ahead. But today, I’m as confident as ever that when we look back five years from now, or 10 years from now, or 20 years from now, we’ll be better off because we had the courage to pass this law and keep moving forward.